(Click image for a large size) At its closest point to a home and to the present barricades that mark the County Viewing Area, molten lava outbreaks are 1200-feet (366 meters) distant toward the west. 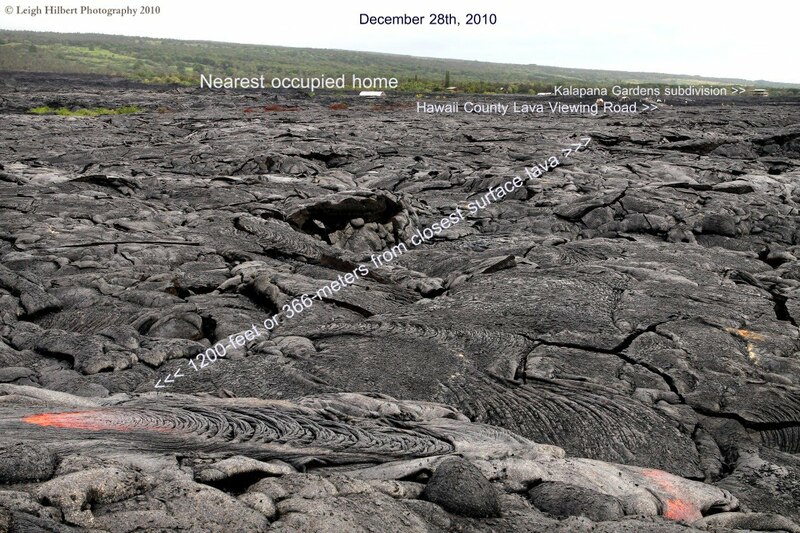 West-southwest of the above surface lava is an additional broad area of other surface flows. These flows have now proceeded southeast from the base of the Pulama Pali, east of the quarry, alongside & overtop of the July lava tubes and past the buried location of highway 130 (Old Kaimu-Chain of Craters Road). These two flows are the leading edges of the December Quarry flow. There are also numerous breakouts further up the pali. My last field report recorded the lava flowing northwest of these locations and about 1400-feet, or 427-meters inland from the present flow front. 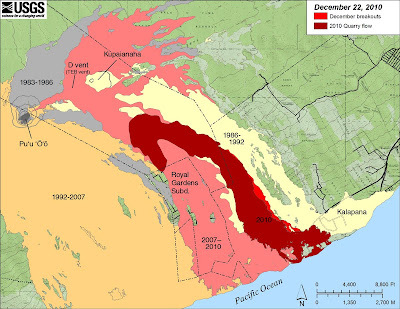 USGS/HVO have posted some updated flow field maps that I repost below. 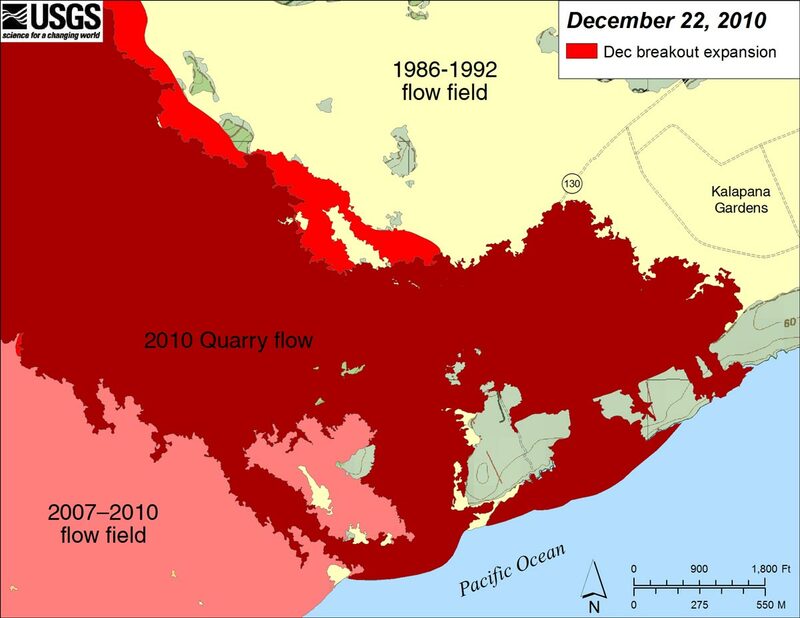 The brighter reds are the most recent surface flow locations as of December 22nd; the flow front has advanced further south and southeast since. You can view them on their site and read the full captions here. 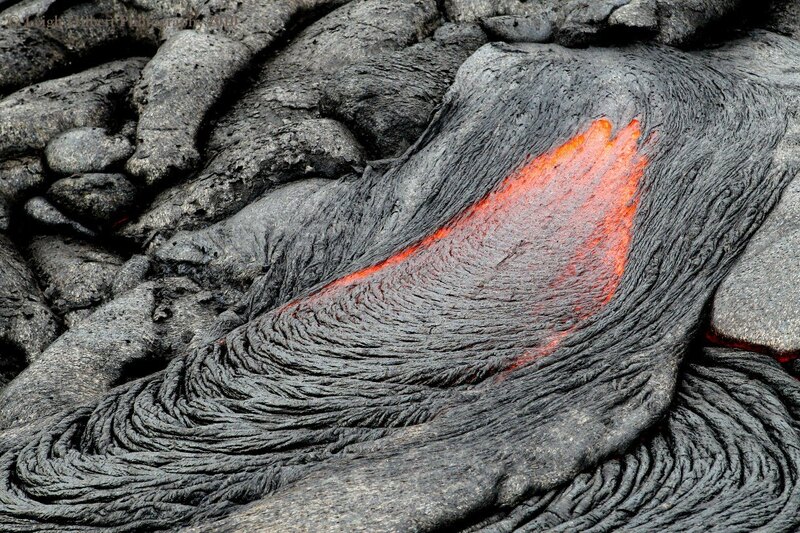 I am still on vacation but thought I would check out the lava situation on the coast. I’ll check in again in about a week. 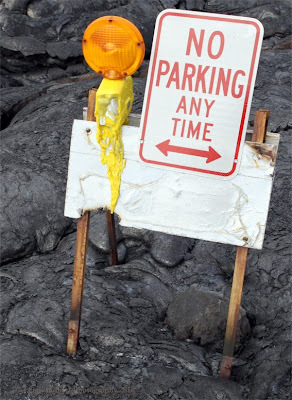 Meanwhile, no parking on the hot lava!